We love our granola around here. It makes a perfect smoothie bowl topper, yummy cereal substitute, or (my favorite way) easy snack by the handful. I try to keep a couple mason jars full of homemade granola for when the cravings set in. This recipe is one of my favorites – partly because it is super quick to make and hard to mess up. 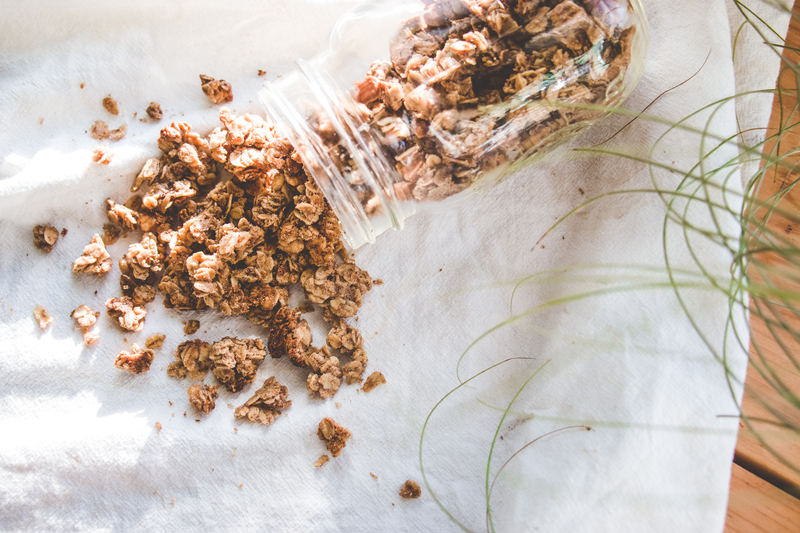 If you’re someone who’s ridden the homemade-granola-making-struggle-bus, this recipe is for you. The ingredients are simple and the process is not finicky. 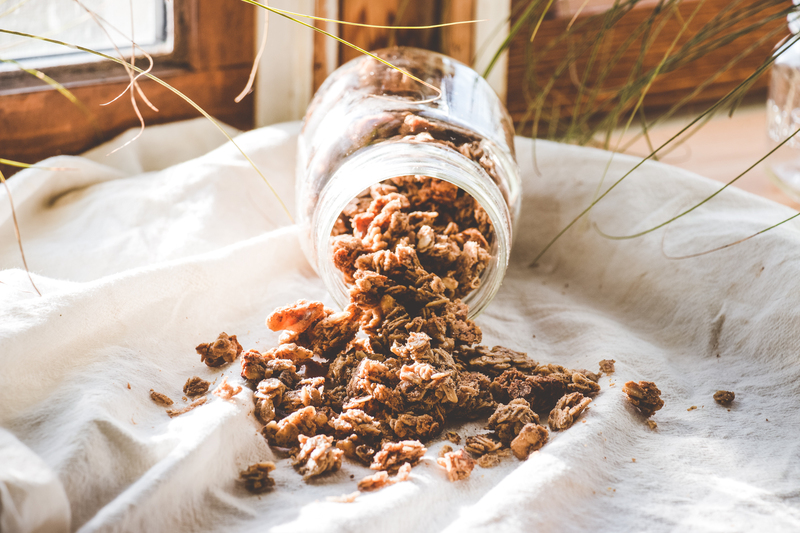 I also love the unique combination of earthy walnuts, spicy cinnamon, sweet maple syrup, and creamy sunbutter in this granola. It pairs nicely with both fruity treats, spiced food, and chocolate-y snacks. 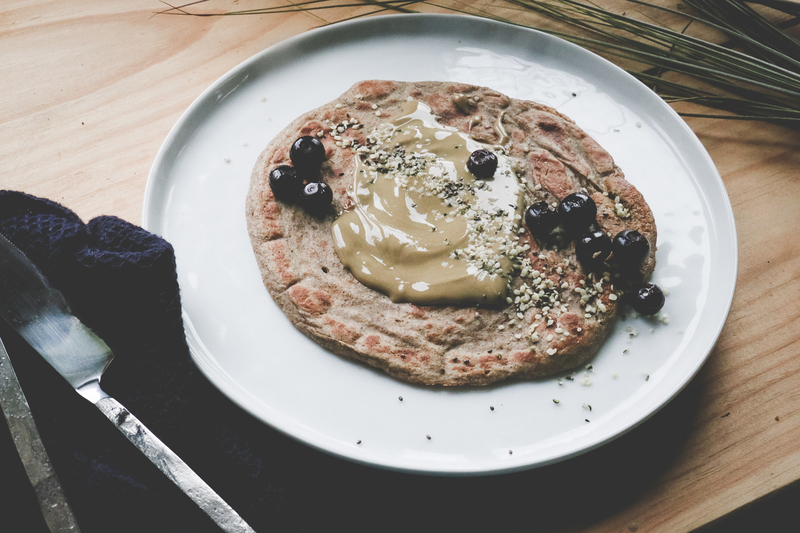 This recipe is 100% naturally sweetened and contains real food ingredients. 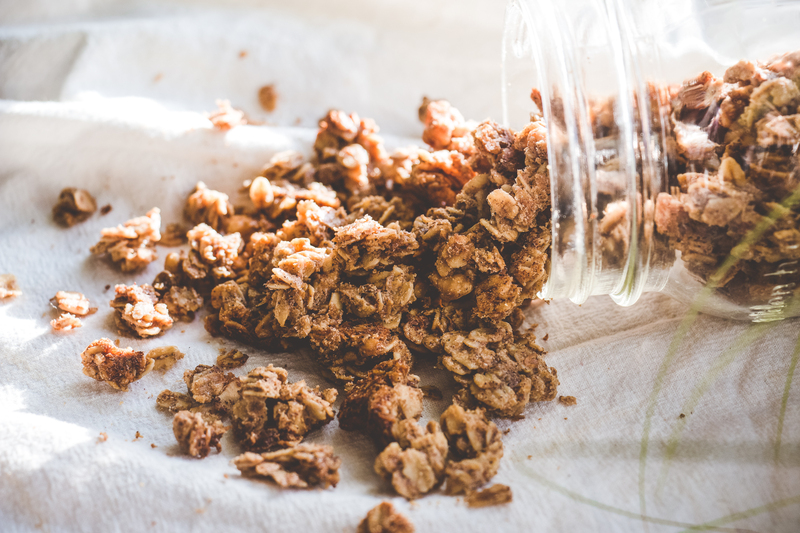 It is a much better granola option than the conventional stuff you find on the shelves of the grocery store—not to mention that it tastes so much better! 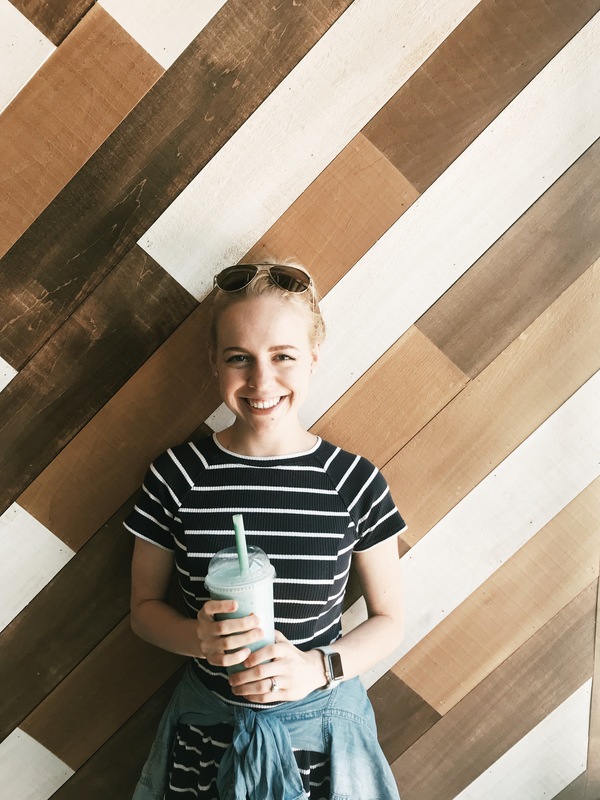 O’m so excited to be sharing this recipe with you all! 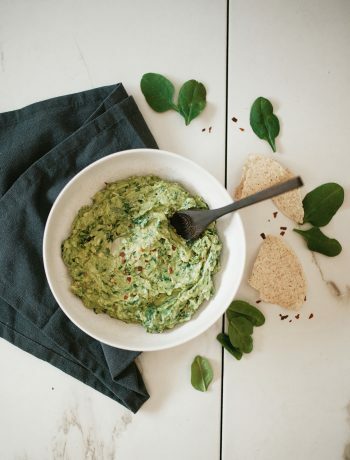 If you try this recipe be sure to tag me in your pictures on Instagram—I love seeing all your creations. Happy granola making! Classic granola that is easy to make, naturally sweetened and sure to satisfy any sweet tooth. 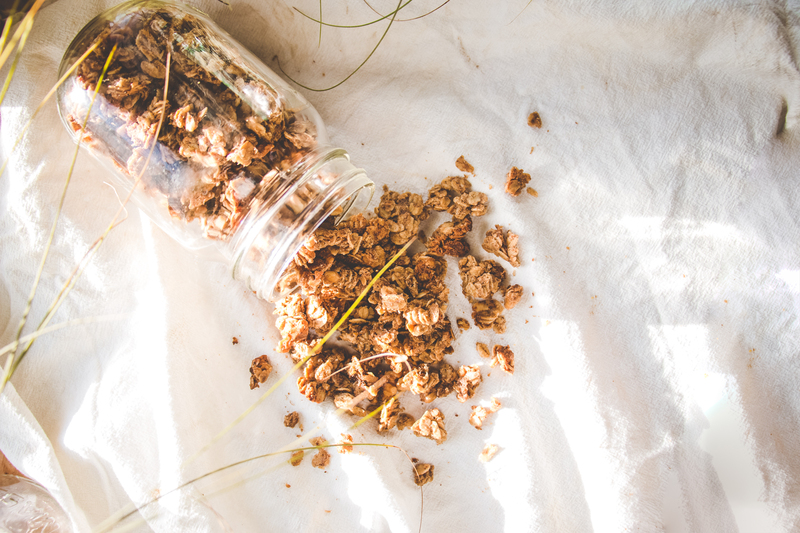 Made with a dozen ingredients or less, this granola is sure to become a staple in your home! Preheat oven to 325 degrees F. Line large baking sheet with parchment paper. 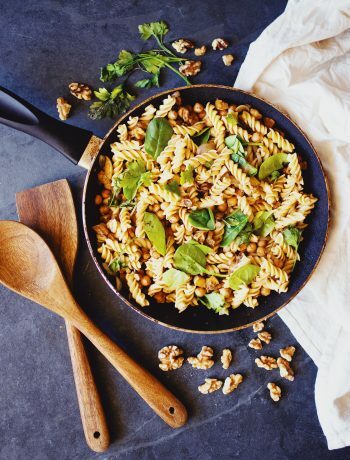 In a medium-large sized mixing bowl, combine oats, walnuts, flaxseed, cinnamon and sea salt. Melt coconut oil in a small saucepan over medium heat. Once melted, remove saucepan from heat and stir in the maple syrup, sunbutter, and vanilla until smooth and creamy. Dump the warm mixture over the dry ingredients. Stir until completely combined. Spread granola thin across the baking sheet and place in oven. Bake for about 25 minutes or until granola has a dark golden color on the edges. Remove from oven and let rest about 20 minutes before removing from pan. Store in airtight container for up to three weeks.